This is one tough chair that will withstand the rigors of time. With a frame that will hold in excess of 500-Pound, this is one of the strongest stackable chairs on the market.You can make use of stackable chairs for many kinds of occasions. 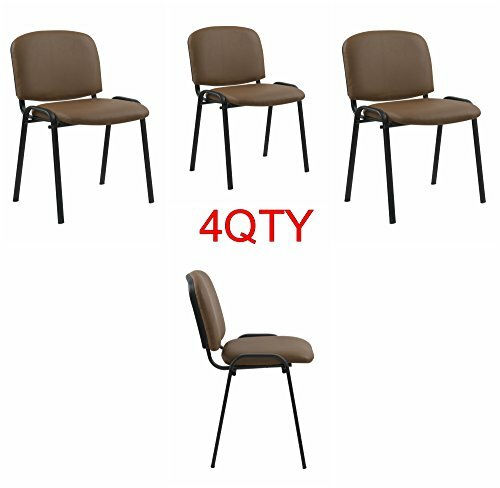 These stacking chairs can be used in Church, Banquet Halls, Wedding Ceremonies, Training Rooms, Conference Meetings, Hotels, Conventions, Schools and any other gathering for practical seating arrangements. Camel PU leather with 18 gauge oval steel tubing, powder coated. Large seat and back with nylon back cover to prevent scuffing. Suitable for hotel conference rooms, events, seminars, training, churches etc. If you have any questions about this product by US Office Elements, contact us by completing and submitting the form below. If you are looking for a specif part number, please include it with your message.